Sorry if this thread has been done to death. I have been reading up on a few posts and want to use the massive knowledge base here in this forum. My cousin recently borrowed my hunting gear for a trip and when he returned it today it was missing my Buck folding knife and my head torch. He assures me that both of these items were never there but I can guarantee they were. I’m just asking on here for some advice regarding a basic knife that would be suitable as an all around hunting knife. 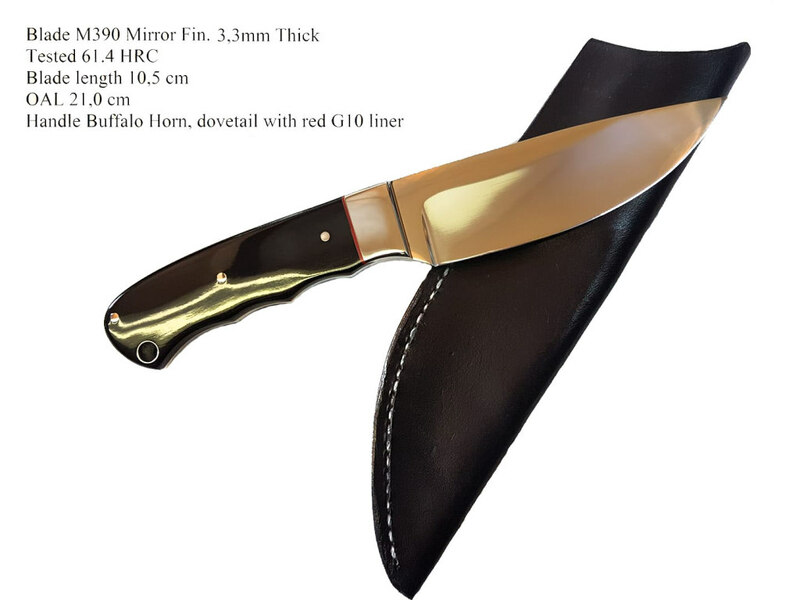 I don’t have a massive budget so i am really looking for something practical that has a sheath I can fit on my belt that won’t break the bank. I know there are some beautiful knives out there but it might be an investment in a few more years when I am actually filling the freezer. Mercator folder about $50 carbon steel razor sharp, always goes with me no matter what, I have some fancier knives but the mercator will do everything I need. Last edited by dannyb; 19-02-2019 at 06:38 PM. bacho.....cheap as chips,sharp as a razor,will do the job very nicely.sheath wont let you down inside your pack if you sit on it. mercator folder in pocket as back up.job done. Nick-D, Cordite and dannyb like this. Its not the easiest knife steel to sharpen but if it needs a but of spa treatment just send it back to me and I'll take care of it for you. jakewire, HUNTY, gadgetman and 5 others like this. Thanks Terryf, that is a very generous offer. At this stage I’ll have to pass sorry as funds cannot stretch that far at the moment. @terryf . Get an address and send the knife to him please. Tahr, outdoorlad, NRT and 20 others like this. @jakewire very magnanimous gesture thank you. Magnificent generosity. On ya jakewire. Blisters and Max Headroom like this. Jakewire, you are an amazing person. Thank you so much. If you are ever in Timaru let me know, I have some contacts and can organise hunts for different species or I can try to help you get onto some massive spawning rainbow trout in the winter. terryf is well involved here to. Mathias and 223nut like this.